A class Act! Put two great artisans together and look what you get â€” perfection. Julie Warenski adorned Steve Hoelâ€™s superb interframe with her superlative engraving and gold work. 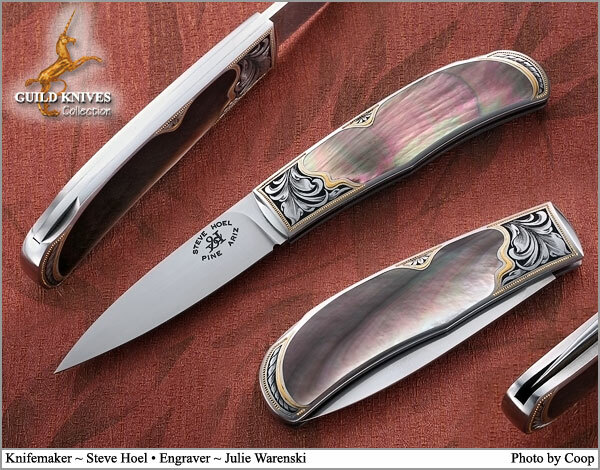 Absolutely stunning Black Lip Mother of Pearl.